Gracias Jodi. Me gusta la salsa tambie’n. Adios ! wow! thanks for the recipe! i’m in a low fat​ diet and my garden is blooming with tomatoes! sooo easy! so fresh! so delish! Good recipe for people who have an abundance of tomatoes, Jodi! 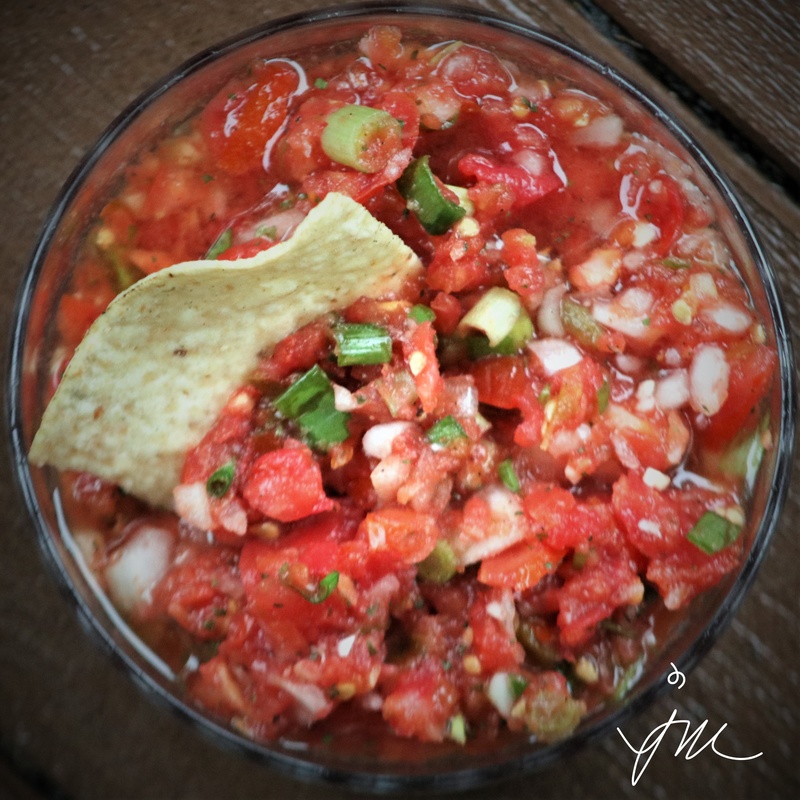 I love salsa and we eat a lot of it here in the southwest. We eat it with jalapeños in it. Hot, hot and hotter. LOL! Your photo and recipe sound divine! This looks fresh and healthy! Yumm and with fresh tomatoes! Yum! 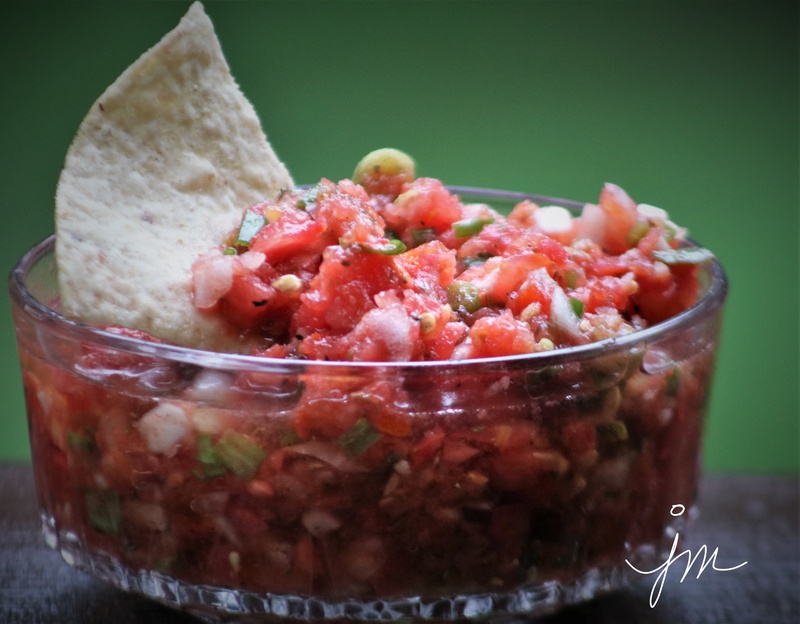 Salsa and chips is a favorite snack here. 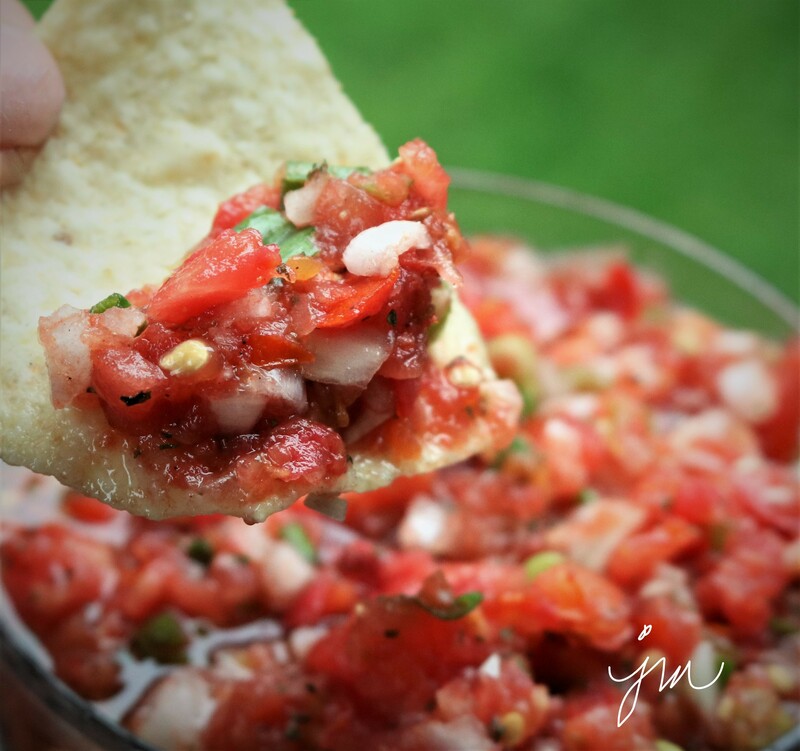 We have had salsa so many different ways like you said. Black beans and corn, mango and peach salsa, they are all yummy! Yum! That chicken and salsa in the crockpot idea is excellent. I think I am going to make this for my church gathering soon!